Prattyush was initiated to the art of sarode playing at the tender age of eight by his engineer father, Late Prasun Kumar Banerjee, who was also a well-known connoisseur, collector and patron of music. Prattyush was brought up in a rich musical ambience amidst distinguished artistes as his home was practically a Mecca for musicians. "Aritra", the famous music circle in the 1980's was organized at his residence. Subsequently, for almost thirty years now, he has been under the coveted tutelage of the internationally celebrated doyen of the gharana, Pandit Buddhadev Das Gupta.
" Prattyush is taking sarode playing to the next level ". His highly individualistic approach of playing is marked by a solid technique and a rare musical sensibility that has evolved through constant absorption from various genres of music. Among many other developments, he is the first to play the complex tappa style of singing on the sarode. He is also a keen student of western music and plays the piano. Prattyush has been performing in public since he was 11, and has featured at major music festivals throughout India like, the Vishnu Digambar Jayanti Samaroh and ITC-SRA Music Conference, New Delhi; Tansen Sangeet Samaroh, Gwalior; Bhatkhande Sangeet Samaroh, Mumbai; Sursagar in Bangalore, Komal Nishaad in Baroda and numerous concerts in Kolkata including, the Salt Lake City Festival, Ramakrishna Mission Institute and the West Bengal State Music Academy Festival among others. Abroad, he has played at the J.S. 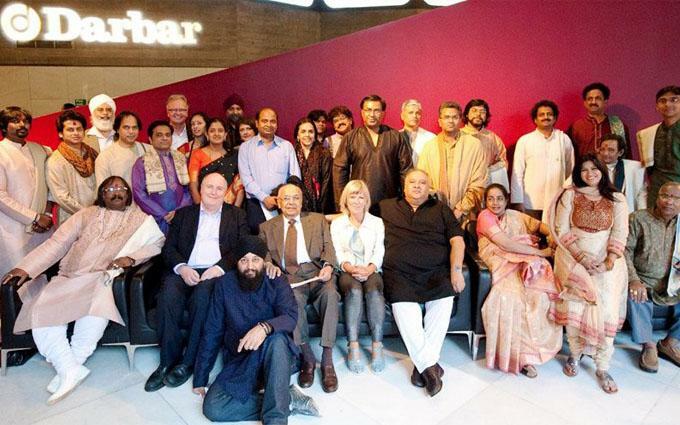 Bach Festival in Belgium, Tropentheater in Amsterdam, Jhankar in Cincinnati, Banga Mela in Nashville and the Creations India Concert in Toronto among others. Prattyush has worked with renowned Indian composers like Salil Choudhury, Ravindra Jain, Shantanu Moitra; filmmakers Rituporno Ghosh, Aparna Sen and percussionists like Pete Lockett and Bickram Ghosh. He has played with the UK based group, Samay and has also played at the MTv Coke Studio in 2012. Besides his solo CDs and DVDs, he has collaborated with recitation artiste Bratati Bandyopadhyay on an album tilted, Gitanjali and with poet Joy Goswami on an album titled, Jaijayanti. He is very successful as a recording musician-composer and has arranged music for more than 60 albums till date. Singers he has worked with include, Pt. 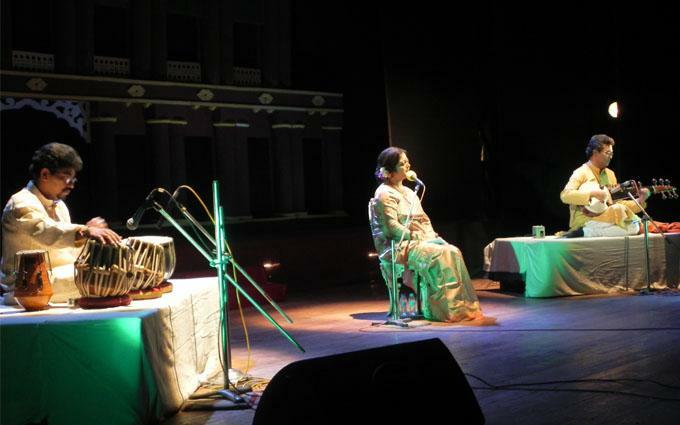 Ajoy Chakrabarty, Alka Yagnik, Kaushiki Chakrabarty and numerous other singers from India and Bangladesh. 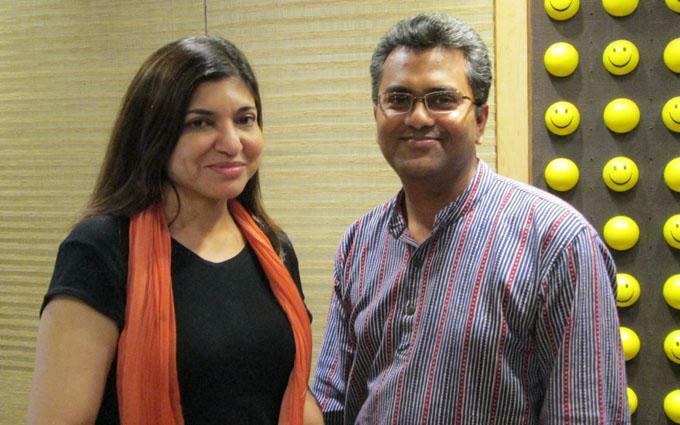 His latest duet album with Jayati Chakrabarty, Rager Aloye Robi is the current bestseller. He was attached as a research consultant with the ITC Sangeet Research Academy and has published many articles on music. He has been honoured with the Ranadhir Roy Smriti Samman and the Outstanding Young Person of the Year Award in 2003, the Pabitra Dasgupta Memorial Award in 2007 and the Sangeet Ratna Award in 2011. 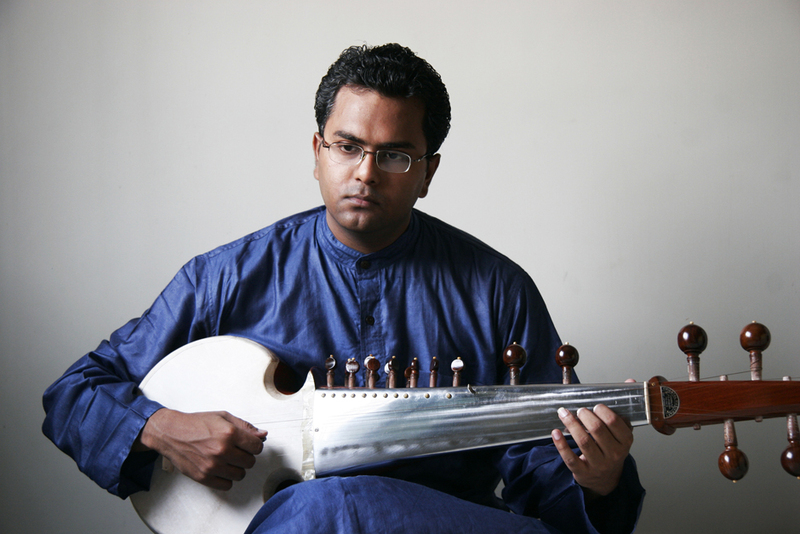 His album, Yatra 2 has won the GIMA Award in 2012. 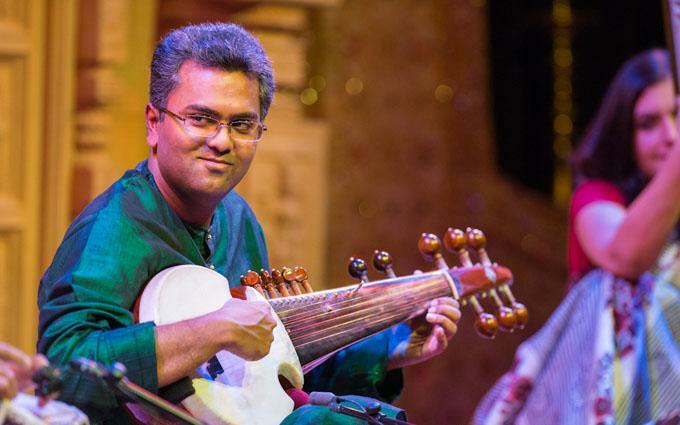 Born in Kolkata, India, in 1969, Prattyush Banerjee is a worthy torchbearer of the Senia-Shahjahanpur gharana made famous by the great Ustads, Murad Ali Khan, Abdullah Khan, Md. Ameer Khan, Sangeetacharya Radhika Mohan Maitra and Pandit Buddhadev Das Gupta. 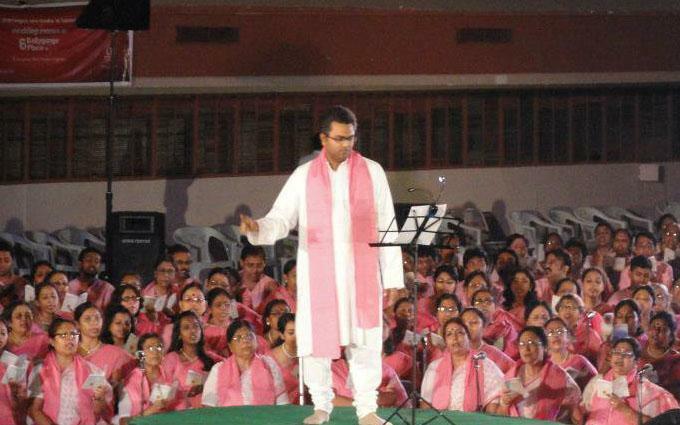 Arranged the music and conducted the historic LIVE concert - " Hajar Konthe Sammelak Rabindrasangeet" (Songs of Rabindranath Tagore by a 1000-member choir ) in 2007. First solo CD released internationally in 2006. Appointed as a part-time Research Consultant with ITC-SRA in 2002. Prattyush has written many articles on music and has also conducted several lecture-demonstrations both in India and abroad. Music Composer - Arranger since 1997 - has over fifty albums to his credit till now. 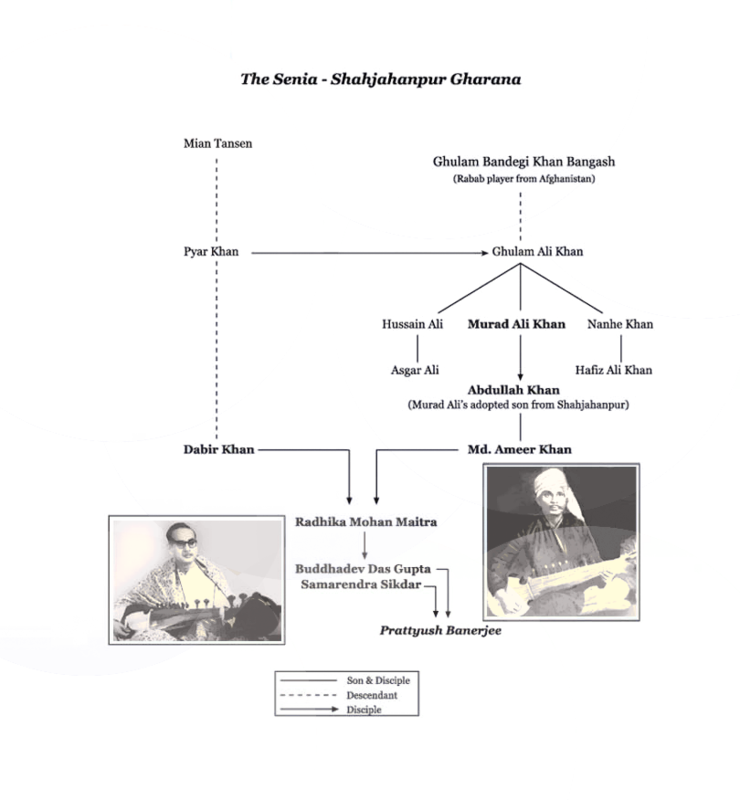 Started a long and successful career as a session musician in 1994. He has worked with composers like, Salil Choudhury, V. Balsara, Ravindra Jain, Shantanu Moitra as well as filmmakers like, Aparna Sen, Rituporno Ghosh, Sandip Ray and others.